Hey my ladies? Do you want to try something new, interesting and fun this summer? 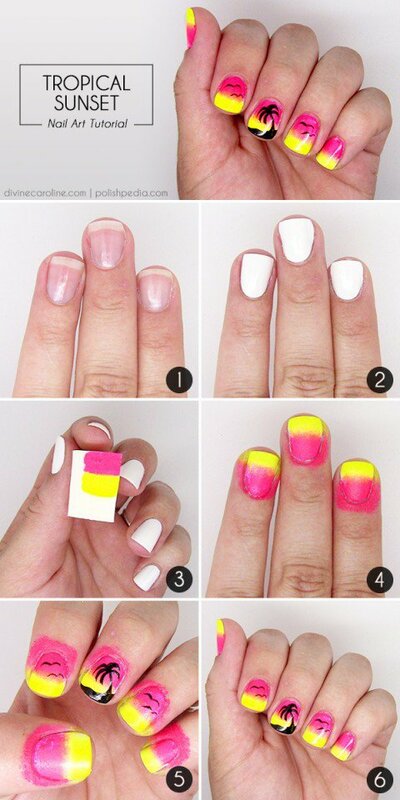 I have made you a collection of the best summer nail tutorials that you should definitely need to try right now. All of these designs that you are going to see here are marvelous, very easy and quick for polishing. Plus, you won’t have any difficulties, because the pictures are easy for understanding. If you have some problems, click on the links under the pictures to see the full tutorials. Take a look at the gallery below and inspire yourself! Enjoy and have fun! 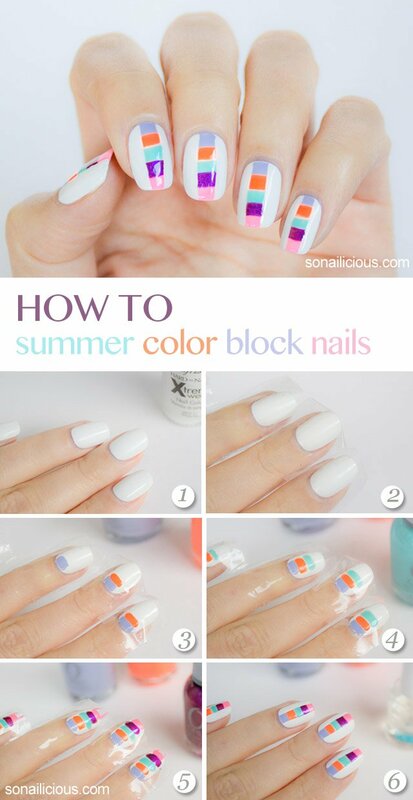 Fresh colors, like pink, green, yellow, blue and orange are must have for the hot summer days. Have you updated your wardrobe with these colors already? 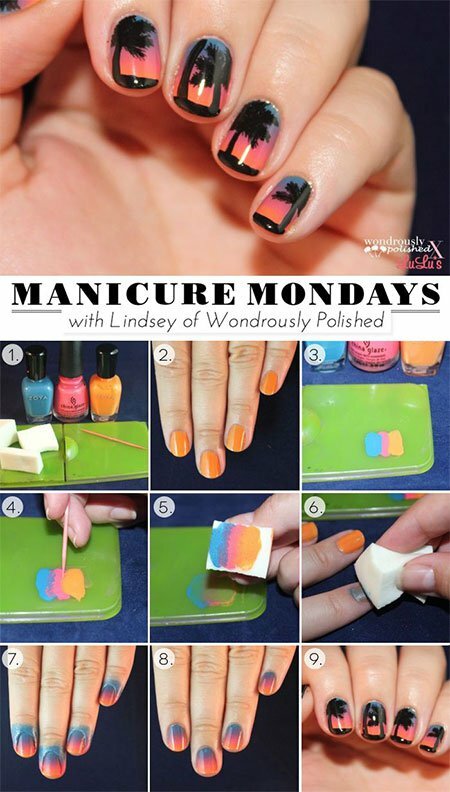 You can also complete your look with a simple nail design, like a monochromatic one or french manicure. Nautical print is very popular in the summer. You don’t need to buy a new pieces of clothes, if you don’t have one already. 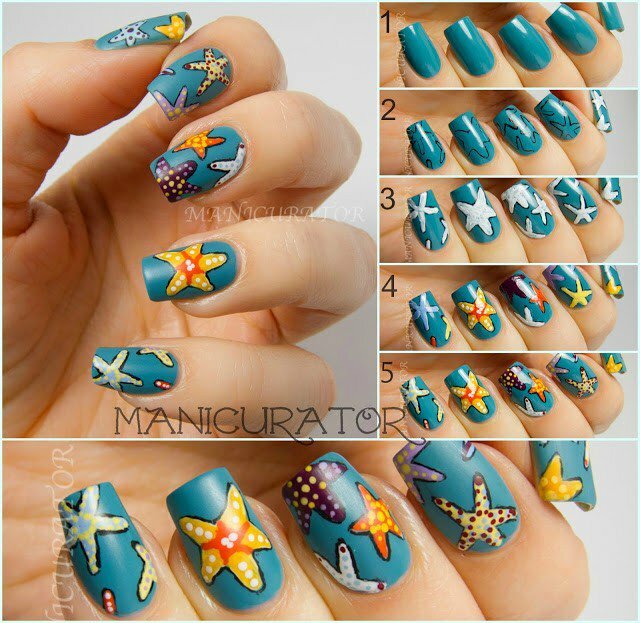 You can follow this trend by polishing your nails with nautical print! I can’t wait to go on a holiday! I enjoy sunbathing, drinking cocktails and playing games in the water and swimming, especially when there are waves. 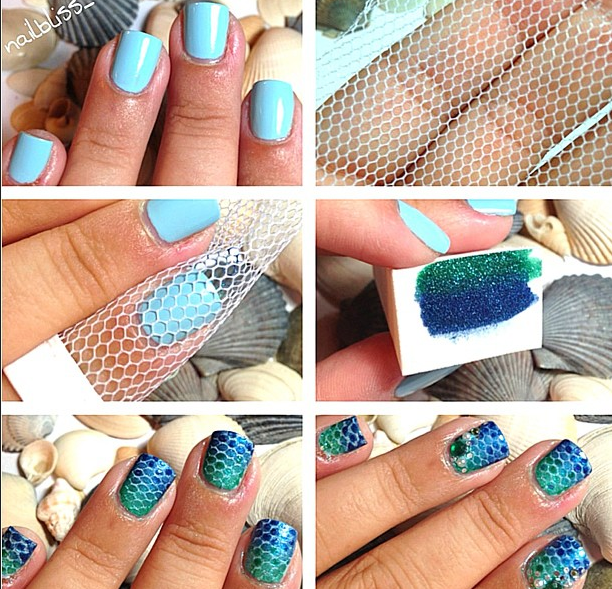 Did you know that you can draw waves on your nails easily? I have some pretty easy tutorials that can teach you how to do that. Do you want to add a tropical detail to your look without spending money? 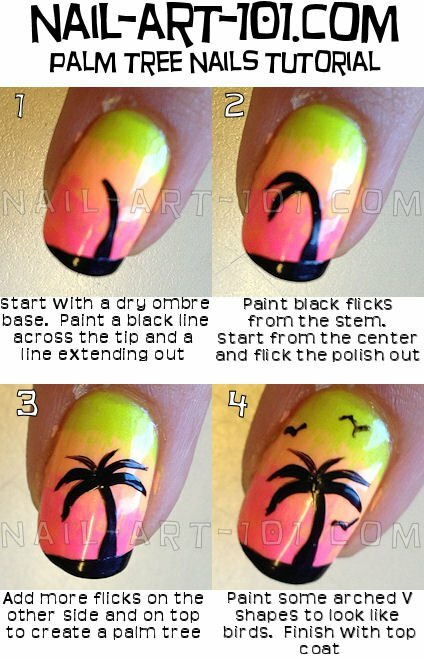 Why not to try to draw a palm tree on your nails? 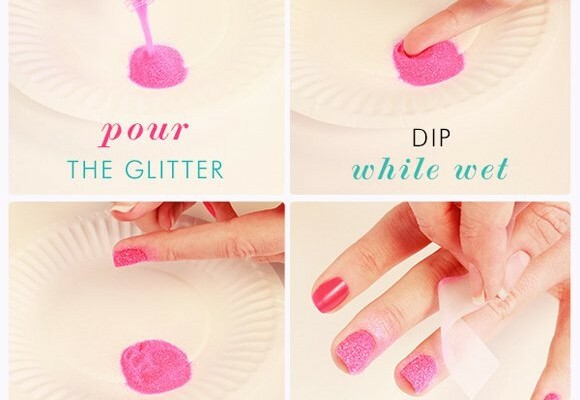 This can be very fun, plus it is very easy to achieve it! 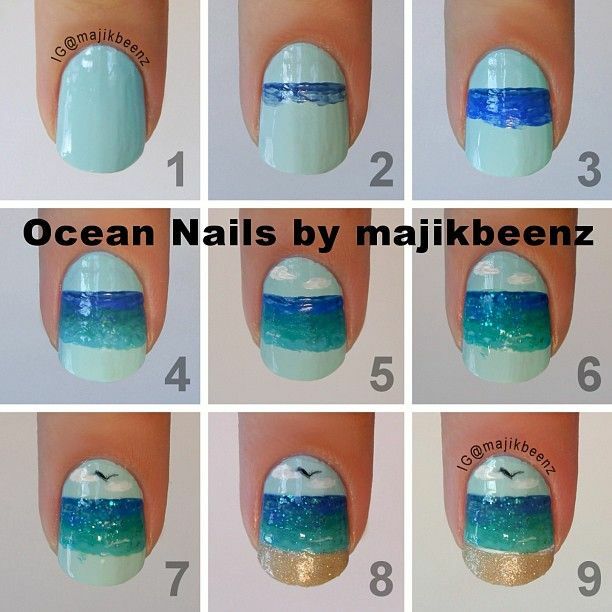 Take a look at these 3 amazing nail tutorials below and draw palms on your lovely nails. Did you like these amazing tutorials? I’m obsessed with polishing my nails and I will try them all. 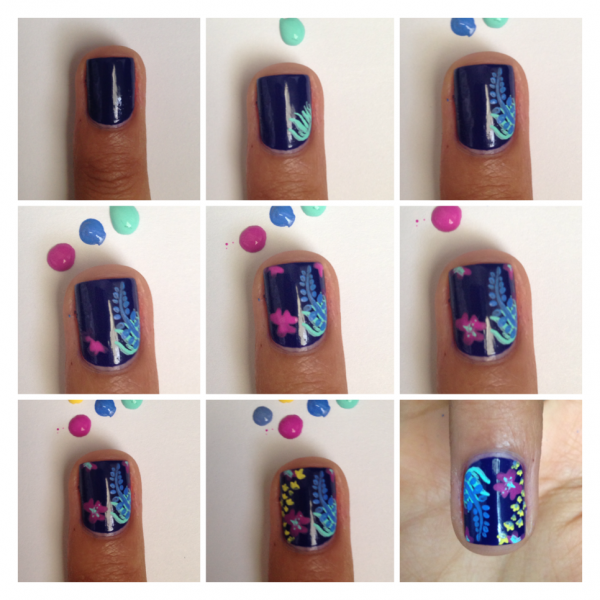 Which nail art did you like the most? If you have some other suggestions or ideas, please feel free to leave me a comment below – I would love to see everything that is connected with nails. Thank you for reading! Enjoy in the rest of your day and stay up to date with the contents of Fashion Diva Design!